Congratulations for Claiming Your FREE Pin UP Passion Calendar! Your FREE Pin UP Passion Calendar Has Been Sent to Your Inbox! We hope you enjoy the calendar as much as we love it! If you're having any troubles claiming your calendar, please contact us here! Oh and we would love to hear your feedback on the calendar. So please don't forget to go to our Facebook Page and let us know what you think! Thank you for your continued support of Pin Up Passion! And now that you are here...go ahead and explore PinUpPassion.com! PS. 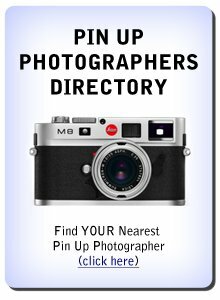 I would just love to connect with you personally as you clearly share a passion for pin up girls! Please add me on Facebook here!